All of Saratoga Hospital’s Laboratory Services Centers are licensed by the New York State Department of Health and accredited by the College of American Pathologists (CAP). This distinction, shared by only 10 percent of hospital laboratories in New York State, provides an added assurance of quality for patients and referring physicians. If your provider is requesting lab services, you can visit any of our lab stations. Monday – Friday: 7:00 a.m. to 9:00 p.m.
Sunday: 7:00 a.m. to 5:00 p.m.
Monday: 8:00 a.m. to 12:00 p.m.
Monday – Friday: 7:00 a.m. to 3:00 p.m.
Monday – Friday: 8:00 a.m. to 12:00 p.m.
Tuesday: 8:00 a.m. to 12:00 p.m.
Thursday: 8:00 a.m. to 12:00 p.m.
Saturday: 9:00 a.m. to 9:00 p.m. 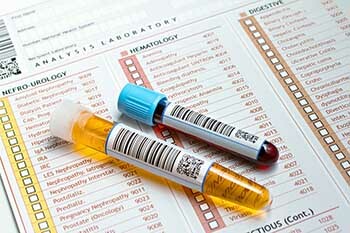 There may be certain guidelines you should follow prior to having lab test done, such as fasting for 4 to 8 hours prior. Please contact our office to discuss, we’re happy to help!